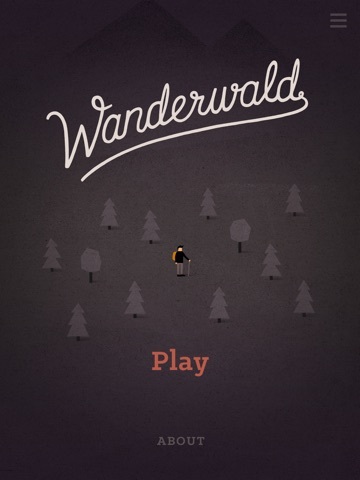 Wanderwald is an atmospheric puzzle game about a journey through the woods. 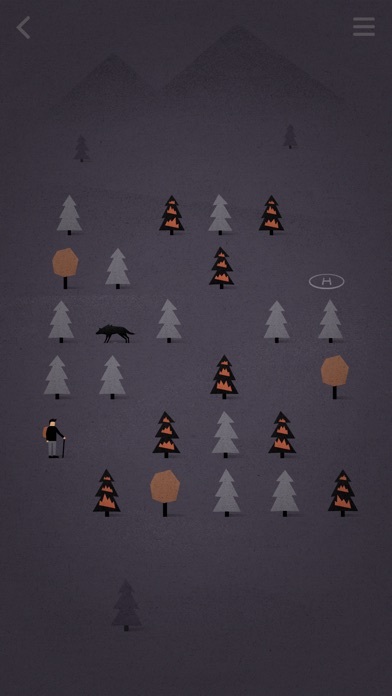 Explore 125 levels in 5 different settings, avoid the dangers lurking in the forest and reach your destination safely. 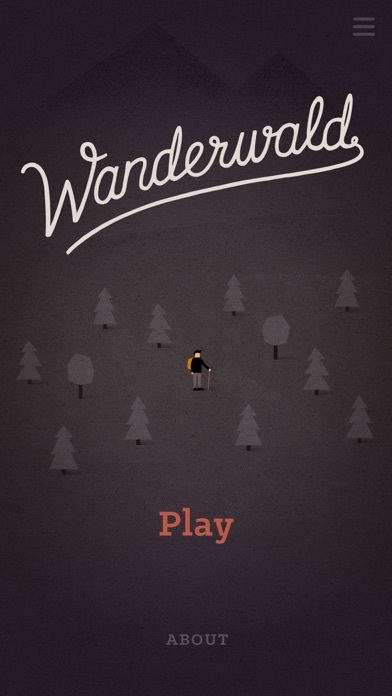 Move the wanderer through the forest by swiping vertically or horizontally. 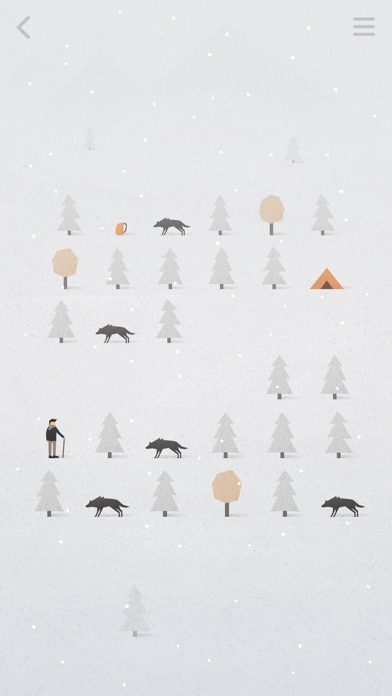 Since each row / column is connected with the opposite row / column, you have to plan ahead to avoid the wolves and survive your hike. 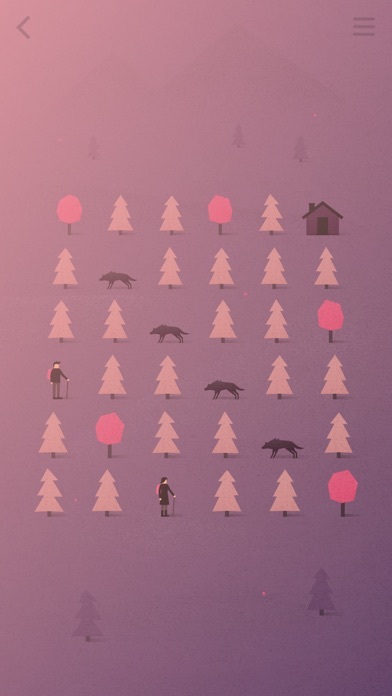 Each stage provides a gameplay variation in a unique setting: A campfire on an autumn evening, a mysterious forest, a lovely cabin in the woods, a fierce snowstorm, a rapidly spreading forest fire. Are you ready for this adventure? 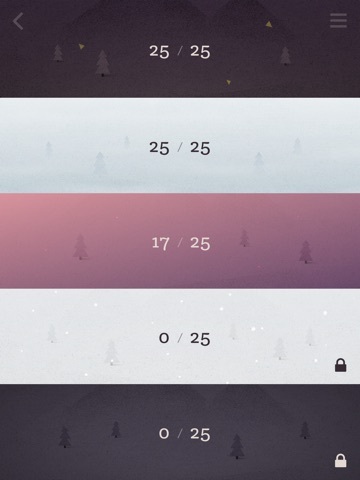 I downloaded it yesterday and it looks promising. I just picked this up in the recent sale. 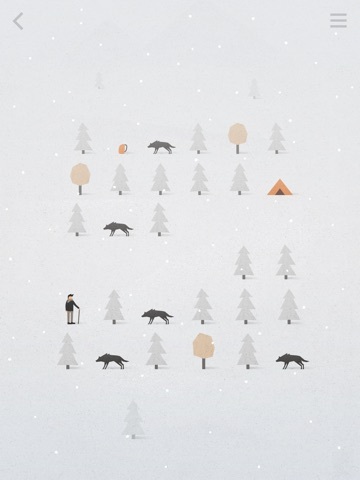 You need to move the dude to the campfire in the first set of levels. 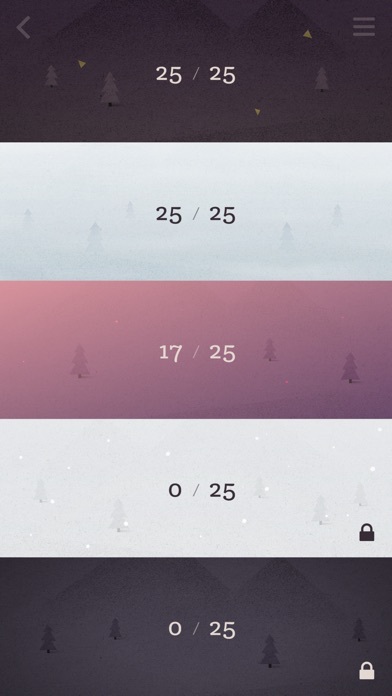 (There's a few environmental sets) You do this by moving whole columns and rows, up and down, or left and right. The columns move symmetrically so moving the left outer column up, also moves the right outer column. 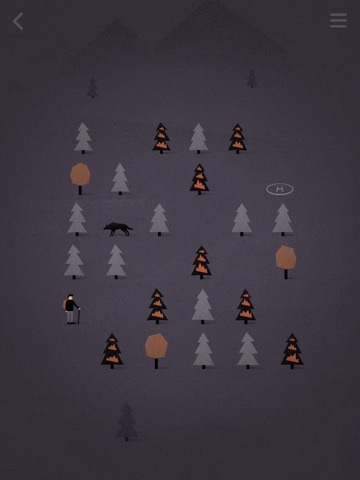 The levels start pretty easy and then more obstacles like wolves get in the way and make you think. 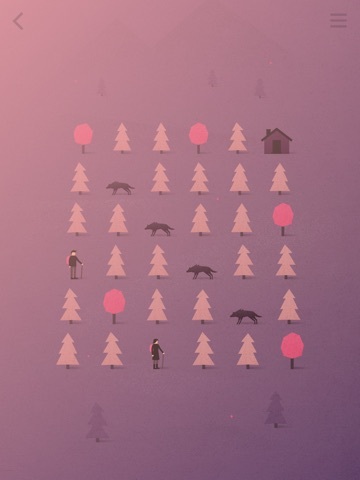 It's one if those relaxing puzzlers that many here seem to like, I don't recall playing anything similar before and it's nice graphics and plenty of levels make this easily worth the current 79p price tag.